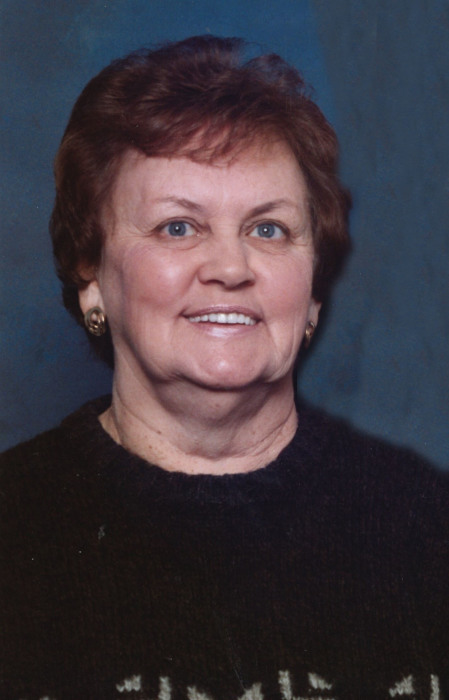 Shirley Louise (McMorris) (Calicott) Herron, 83, of Moberly, passed away Wednesday March 20, 2019 at the University Hospital in Columbia, MO. She was born December 19, 1935 in Madison to Fred and Beatrice (Haley) McMorris. Her childhood was lived in Madison, MO, schooled her first four years at Jacoby School, a one room facility, graduating from Madison High School in 1952 at age 16. She was active in high school, participating in both academic and athletic activities. During her adult life, she resided in numerous cities in MO, CA, IL, WI, AZ, and TX. Shirley enjoyed meeting new friends and conversing without hesitation, never meeting a stranger. The rearing of her children was the most proud accomplishment in her life. She felt the achievements of her children and grandchildren were paramount. Her professional life was related to banking and health field industries. She had been employed in numerous health care and banking facilities. She and Darrell owned and operated Herron Sales and Rentals for many years in Moberly. She was a member of the Trinity United Methodist Church. She is survived by her children, Yvonne Cooper, Chesterfield, MO, Bruce Calicott, Madison, MO and Tim Calicot and wife Donna of Bowling Green, MO, grandchildren; Jeffrey and James Cooper, Chad Calicott, Nicole Taylor and husband Tony and Ashly Provorse, great-grandsons, Jacob Kamrowski and wife Kelli, Collin Provorse and Josh April, a sister, Wilma Ashworth, Moberly, MO, a brother, Curtis McMorris and wife Roberta of Madison, AL, nieces, nephews, cousins, other relatives and friends. Preceding Shirley in death were her parents, grandparents,a brother Perry McMorris and her former husbands, William Calicott and Darrell Herron. Memorials to the American Cancer Society or the Trinity United Methodist Church would be appreciated. Services honoring and celebrating Shirley’s life were held at the Cater Funeral Home Chapel. Committal prayers and burial followed in the Sunset Hill Cemetery, Madison, MO.